我们与很多CAD 和 PLM 供应商?? ?重要的出版合作关系，还与那些与 CAD、工程和机械组件相关的在线媒体建立了重要的出版合作关系。 在 TraceParts 上发布您的 CAD 图纸，以最大限度地提高您的品牌知名度? 您可以向数百万潜在客户推广您的品牌? Exposure: [tp-res id=”tpres_cgtrader_registered_users_comma”][/tp-res] registered users. CGTrader is one of the leading stock 3D model marketplaces with a seamless integration via APIs to some of the TraceParts CAD content. CGTrader focuses on game development, movie making, CAD and even 3D printing. Exposure: [tp-res id=”tpres_cimatron_registered_users_comma”][/tp-res] registered users. 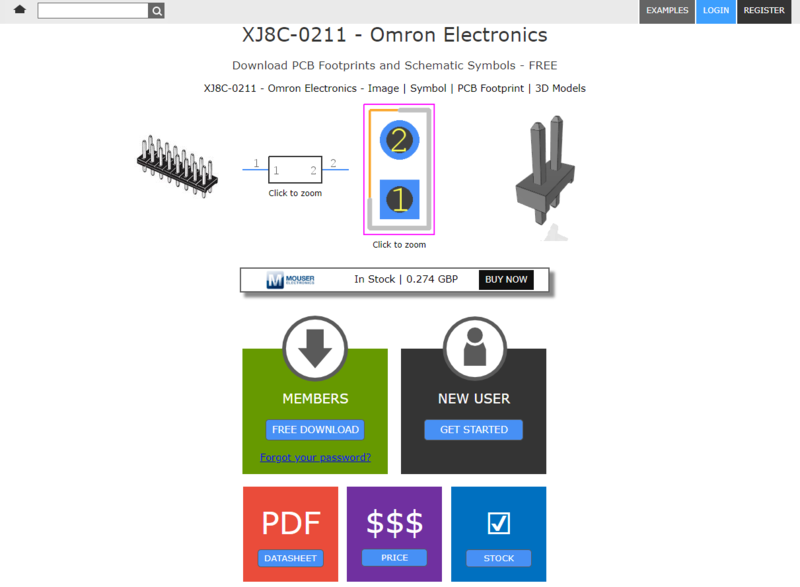 The Cimatron CAD portal includes over 100 million of standard purchased parts with CAD models available for download in Acis 6.3, STEP AP203 or even STEP AP214 formats. 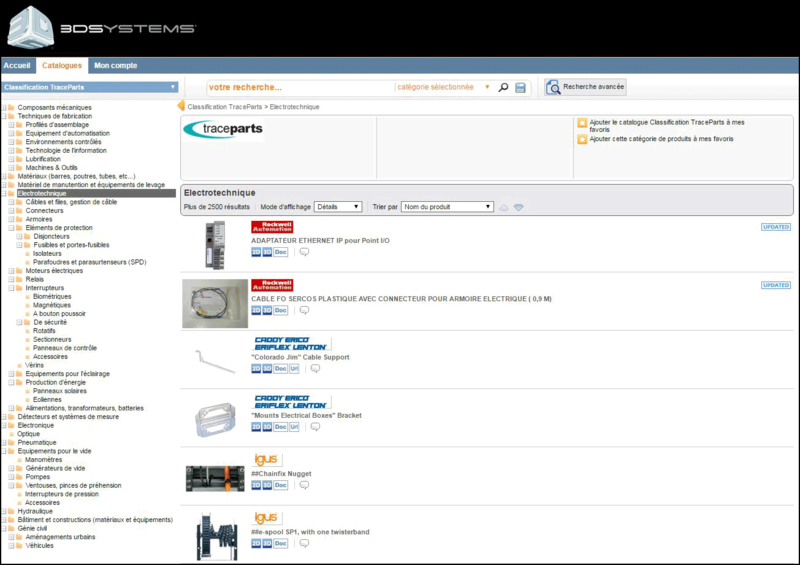 Manufacturing professionals can access this portal at www.tracepartsonline.net/ws/cimatron to browse specific catalogs and use a powerful search to find the part they need by dimensions or technical properties. 世界领先的 3D 数字内容提供商 TraceParts 宣布与 Dassault Systèmes 缔结战略伙伴关系，将其 份 3D 目录和 万个零件号集成到最新的 3DEXPERIENCE Marketplace. DesignSpark Electrical is available for free download and targets electrical design engineers, especially those not already using electrical CAD tools. One of the key features is the seamless integration of the TraceParts electrical component catalogs, containing thousands of components with smart electrical data such as 2D footprints, electrical symbols and electrical pin definitions. EngineeringShared helps a global community of engineers share technical insights, career opportunities and also tools and templates which are not subject to copyright. IronCAD is a leading provider of 3D Design Productivity Solutions that deliver the highest levels of customer satisfaction and productivity. Individual components of this solution can be used standalone, complementary within an existing design environment, or can be used together to collaborate effectively throughout the enterprise to extend productivity. Its flagship product IRONCAD has won many industry awards for its innovative technology and leads the industry in its ease of use and design productivity. IronCAD products are being used successfully by thousands of customers worldwide. This portal allows users of Fisa-MEP CAD Software to download millions of components in AutoCAD MEP and Revit MEP formats thanks to the MagicPart Tool. With a direct and fast access from MagicPart, designers can download parts from hundreds of manufacturers’ catalogs and integrate them into Fisa-MEP. Sketchfab is a 3D model library where CAD users publish and can find some of the best 3D content, including 3D CAD models from the TraceParts platform. SimScale is a provider of powerful web-based 3D simulation technology which is revolutionizing the way engineers, designers and students design products. With a founding team of mechanical engineers, computer scientists and mathematicians, SimScale’s goal is to enable everyone to design better products faster and cheaper by putting engineering simulation tools into the hands of a broader range of users. SolidFace is a 2D/3D parametric historic constructive CAD modeler. In addition to 3D modeling, it allows project creation entirely in 2D, such as mechanical parts, civilian plants, layouts, etc.